VANCOUVER — The city of Vancouver held its second open house this past weekend to show off the latest ideas for the Tower Mall redevelopment site in The Heights neighborhood. In June of last year, the city approved spending $5 million to buy the 12-acre Town Plaza property, formerly known as Tower Mall, with the goal of spurring redevelopment in the area. 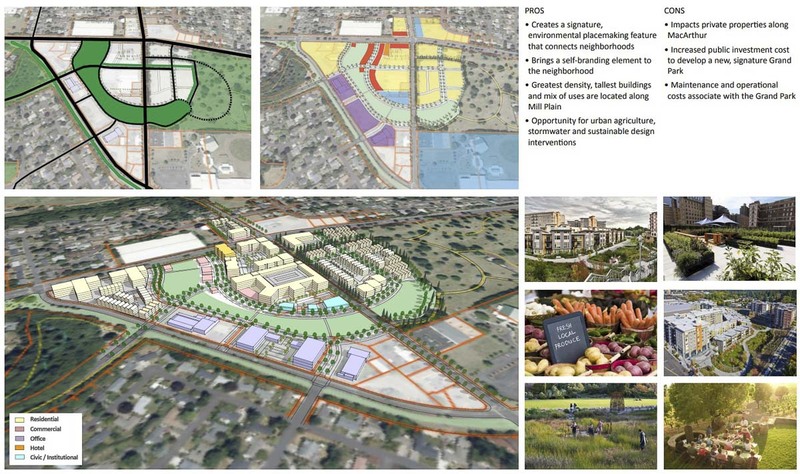 At that time, the plan was to work on a comprehensive plan for that site, as well as another 13 acres. 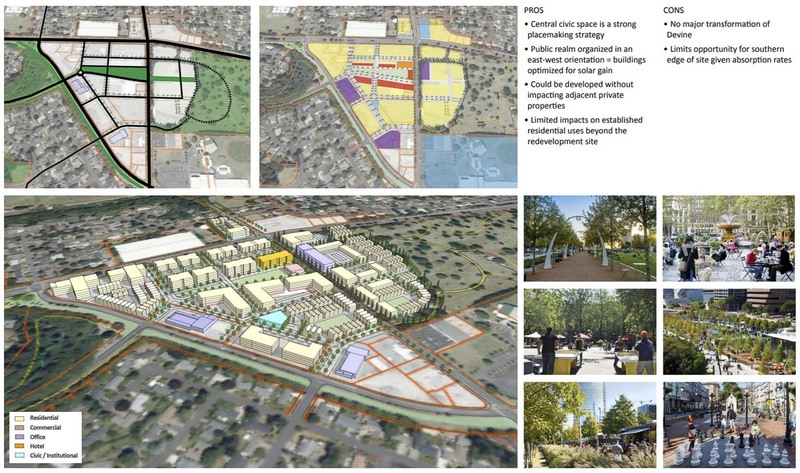 Since then, the Tower Mall redevelopment area has grown to 63 acres south of Mill Plain along both sides of Devine Road south of MacArthur Boulevard. 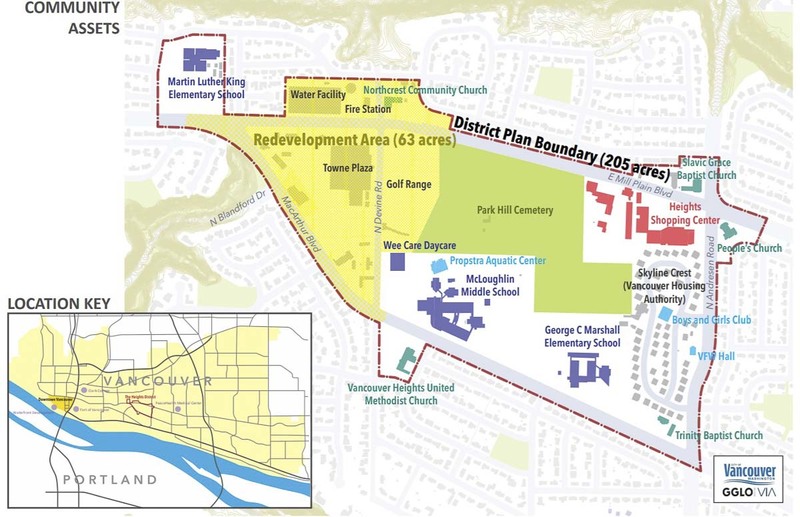 It includes city-owned properties — the 12-acre site of the former Tower Mall, a water facility, fire station #3, and the site of the Vanco Golf Range — as well as several privately owned properties. 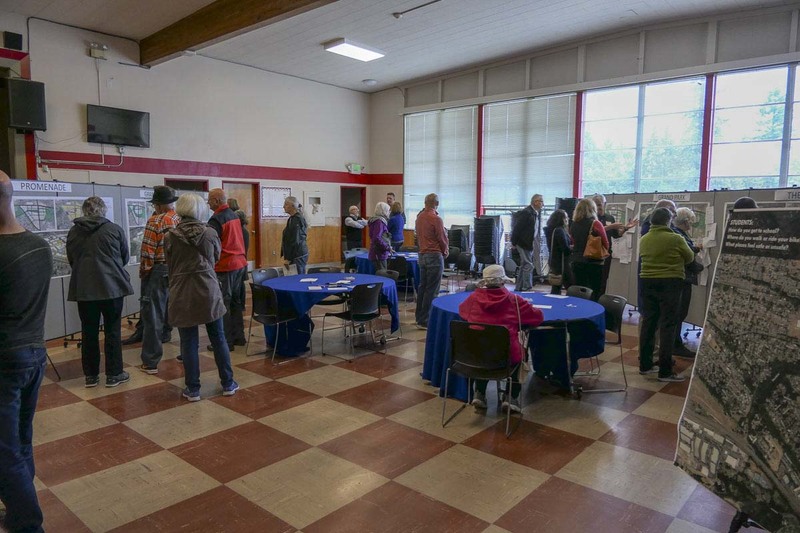 On Saturday, the public was invited to McLoughlin Middle School for a chance to see what GOLO Design and VIA Architecture of Seattle had come up with as a possible vision for the future of the area. The proposed redevelopment comes as the new Vancouver Waterfront project finally begins to see businesses moving in, and east Vancouver has been growing by leaps and bounds. “Central Vancouver has been largely skipped over by that investment, and so the intent here was for the city to play a role in sort of bringing some improvements to the area,” said Rebecca Kennedy, the city’s long range planning manager. 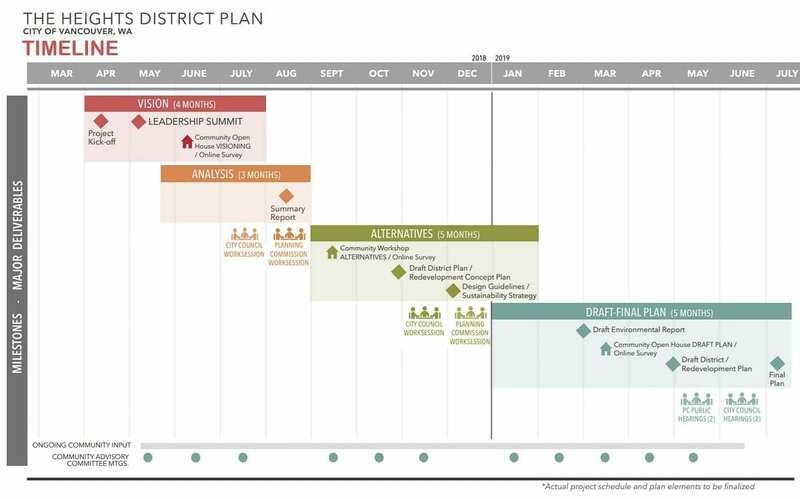 In order to spur development in the area, the city is investing not only in the property, but in much of the up front planning, environmental work, and infrastructure improvements. The 20-year market analysis for the site calls for around 1,800 residential units, 65,000 square feet of commercial space, 57,000 square feet of office space, and much more. “I know things change over time, but trying to take what has been done in downtown Vancouver and putting that up here in primarily a single-family neighborhood? I don’t think that works,” said Lisa Willits, who has lived in the area for 12 years and came to check out the city’s plan. 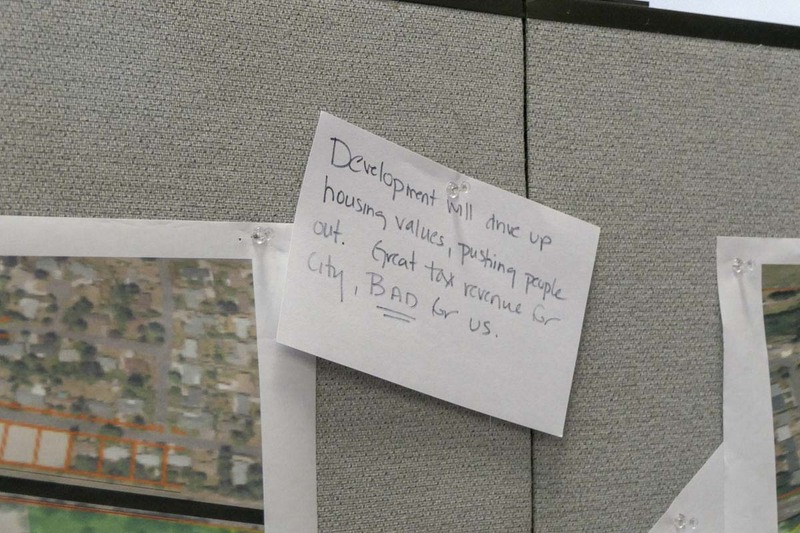 One concern for planners is trying to find a way to bring new housing to the area, without driving out people who’ve lived there for a long time. Despite such promises, people like Mike believe Vancouver is repeating the same mistakes of other growing cities like San Francisco, Portland, and Seattle. Kennedy says the city is well aware that some of the surrounding neighborhoods are home to low income families already, often a paycheck away from being unable to pay their rent or mortgage. She says it’s very much a part of the conversation about what the makeup of this new development should be. But the concerns of residents at Saturday’s open house was that the city is already struggling to deal with the rising level of homelessness, drug addiction, and mental illness. Willits says The Heights has, so far, been able to remain relatively free of such problems, but she sees it in the surrounding areas, including her job along MacArthur Boulevard. Both Mike and Lisa say the city already isn’t keeping up with seemingly small things. The city is also wrestling with how at least 3,000 new residents would move around in an area that residents say is already struggling with traffic congestion. C-TRAN’s VINE Bus Rapid Transit line is slated to eventually expand to Mill Plain and run through the area, but Mike says he doesn’t see that as a complete answer to the problem. Kennedy says they’re only halfway through the process, and eager to hear such feedback from area residents. Growth, she says, is coming to Vancouver, and their goal is just to guide it and hopefully learn from other cities. 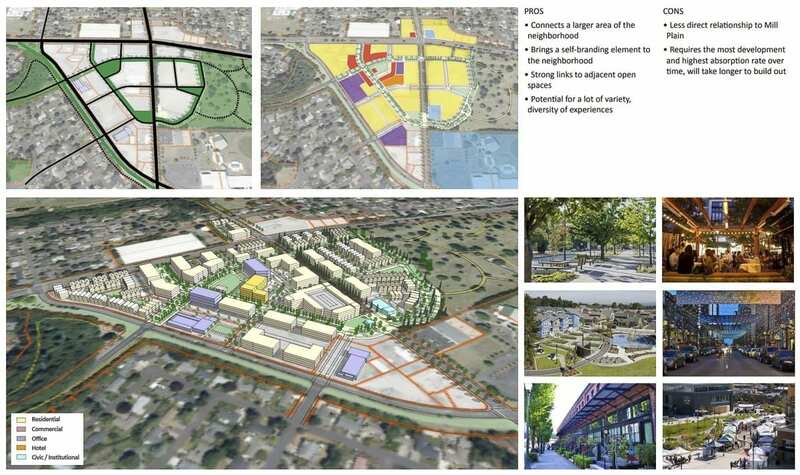 GOLO Designs and Via Architects have put together three development plans, each with varying amounts of park space. The point they wanted citizens to know is that ultimately building density in the site would likely be the same, so more green space would mean either taller buildings, or more in a smaller space. If you weren’t able to make it to Saturday’s open house, you can view the information on the city’s website here. You can also leave feedback through an online portal here. 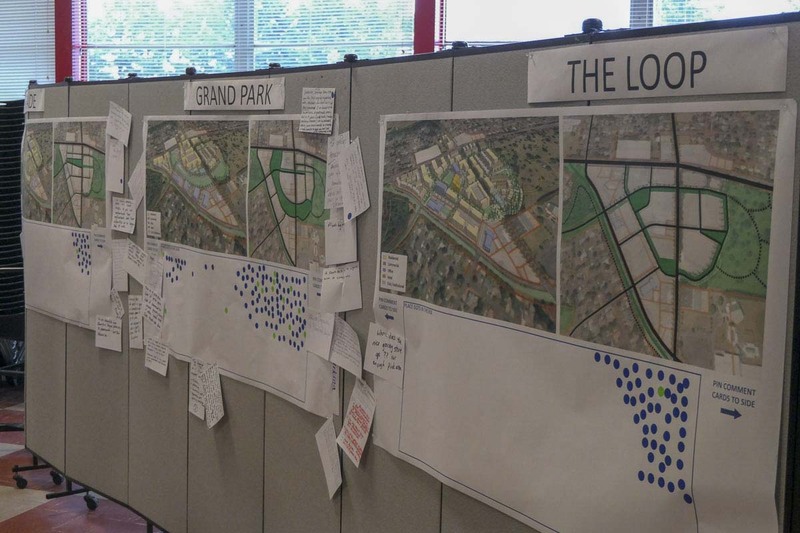 Kennedy says the goal is to take all the feedback on the three concepts presented Saturday, come up with a preferred alternative to take to the public next Spring. Ideally the planning commission would then take up the debate next Summer, with a full vote by city council next Fall. There is currently a building moratorium at the Tower Mall site, so it’s likely no major changes would happen until 2021 or later.